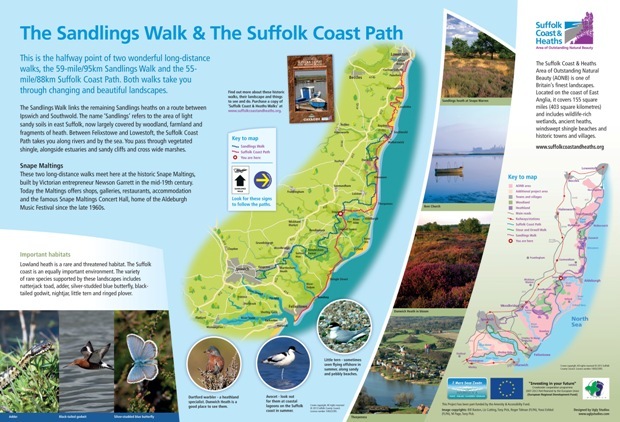 The Suffolk Coast AONB (Area of Outstanding Natural Beauty) wanted to introduce both tourists and local visitors to the area. 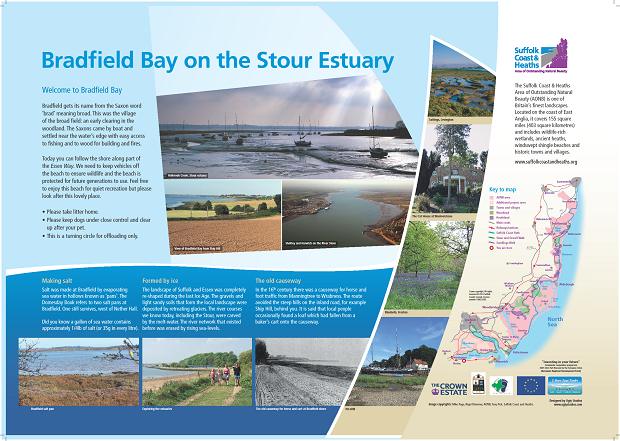 Ugly Studios won a competitive tender to design and install interpretation boards across the AONB, encouraging visitors to explore and enjoy the area. We envisaged boards with a dual purpose. 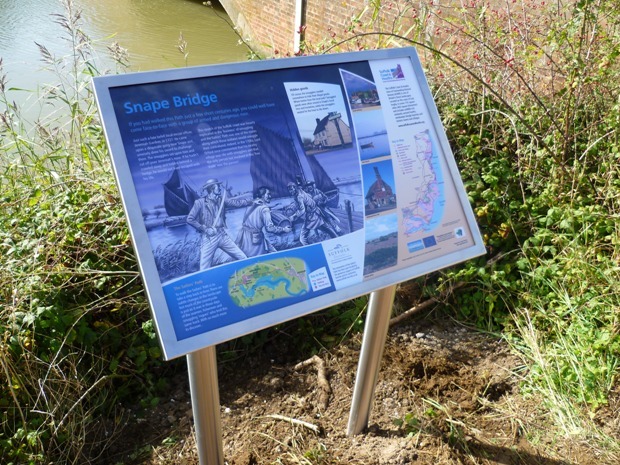 Firstly, an attractive, clear design would orientate and inspire visitors, allowing them to easily explore the area. 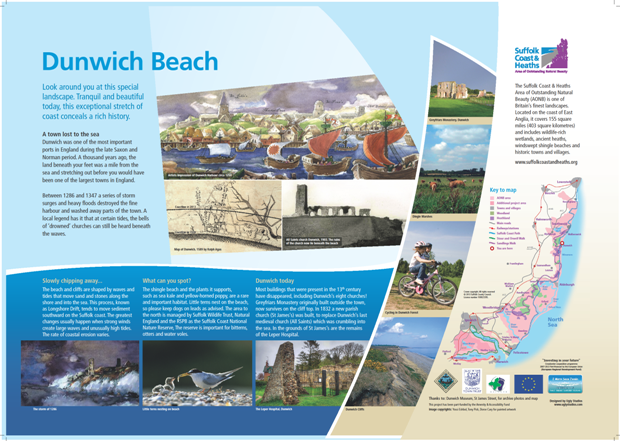 Secondly, engaging content and detailed illustrations would reveal hidden stories of the landscape, helping visitors understand what they can sometimes see. We designed 55 different trail boards, collectively telling a rich, evocative story of the landscape and its history. 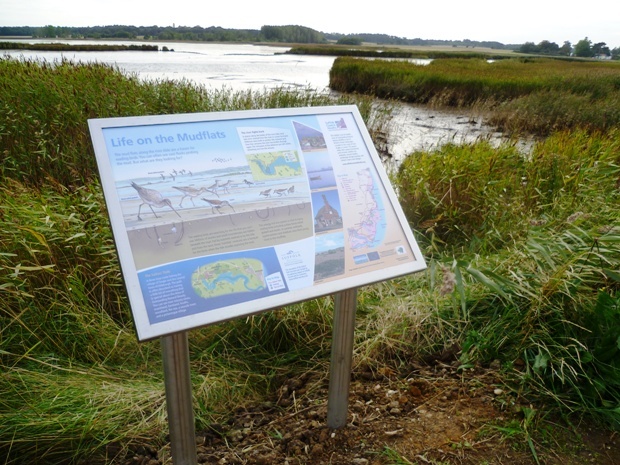 They allow visitors to orientate themselves in the AONB and direct them to other nearby key sites. Framed in marine-grade stainless steel, they are designed to withstand the highest tides and the worst of winter weather.